Also serving communities of Baldwin. There are 202 Assisted Living Facilities in the Catonsville area, with 10 in Catonsville and 192 nearby. The average cost of assisted living in Catonsville is $2,933 per month. This is lower than the national median of $3,346. To help you with your search, browse the 467 reviews below for assisted living facilities in Catonsville. On average, consumers rate assisted living in Catonsville 4.1 out of 5 stars. Better rated regions include Ellicott City with an average rating of 4.3 out of 5 stars. Caring.com has helped thousands of families find high-quality senior care. To speak with one of our Family Advisors about assisted living options and costs in Catonsville, call (855) 863-8283. Catonsville, Maryland, was originally home to the Piscataway tribe before it was settled by Europeans in the 1700s and is currently a university town, housing over 14,000 students from the University of Maryland. Catonsville has a total of 41,567 residents, with 17.2 percent aged 65 years and over. This senior community is served by the municipality's 10 assisted living facilities. In Catonsville and the rest of Maryland, assisted living facilities are called Assisted Living Programs (ALPs) and are under the jurisdiction of the Maryland Department of Health and Mental Hygiene. The state of Maryland offers tax breaks that can help Catonsville seniors afford to pay for assisted living. Retirement accounts are only partially-taxed, as are public pensions. Social security is not taxed at all. On the other hand, retirees can expect to pay full taxes on private pensions. The Catonsville area is home to world-class medical facilities, including the Spring Grove Hospital Center, in the event of medical emergencies or illness. Catonsville experiences four seasons, but seniors might not enjoy the extremes between winter and summer. The average January low is 32 degrees, while the average mid-summer high is a full 60 degrees hotter. The average cost of living in Catonsville is nearly exactly the same as the average for the rest of Maryland, which is 24.6 percent higher than the national average. However, Catonsville seniors can expect to pay less than the US average in two important spending sectors: healthcare and groceries. Seniors who are concerned with safety should be aware that the crime rates in Catonsville are relatively high. Property crime is nearly eight percent above the national average, scoring 43.2 on a scale of 1 to 100, where 100 is the most dangerous environment. Property crime is similarly higher than the US average with a rating of 28 out of 100. As a college town, Catonsville has a vibrant arts and culture scene for seniors to enjoy. Both the University of Maryland, Baltimore County and the Community College of Baltimore County has an active schedule of events that includes performing, visual and musical arts. Assisted Living costs in Catonsville start around $2,933 per month on average, while the nationwide average cost of assisted living is $4,000 per month, according to the latest figures from Genworth’s Cost of Care Survey. It’s important to note that assisted living rates in Catonsville and the surrounding suburbs can vary widely based on factors such as location, the level of care needed, apartment size and the types of amenities offered at each community. 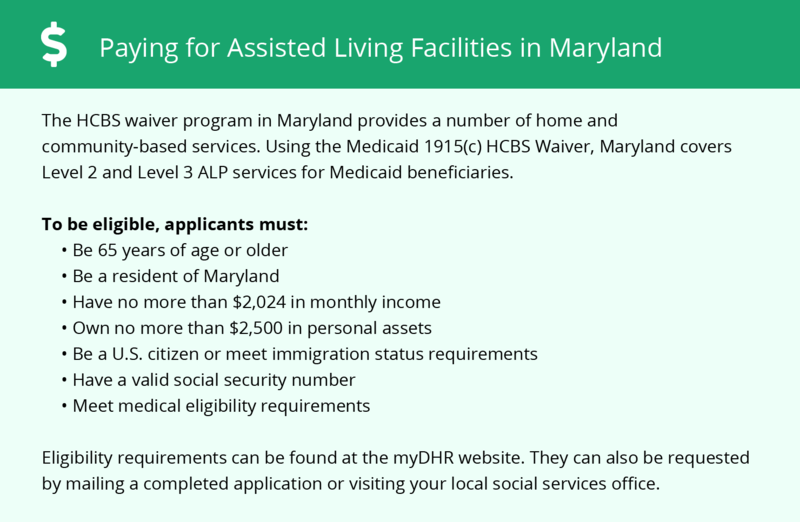 Maryland provides low income seniors with a subsidy program to help them afford assisted living. 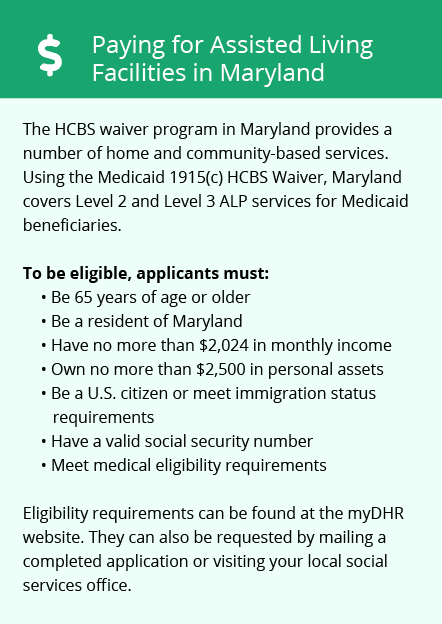 The Senior Assisted Living Group Home Subsidy Program pays ALP providers up to $650 a month, but Catonsville seniors should check whether they need to register on a waiting list before they’ll be able to take advantage of the subsidy. Catonsville and the surrounding area are home to numerous government agencies and non-profit organizations offering help for seniors searching for or currently residing in an assisted living community. These organizations can also provide assistance in a number of other eldercare services such as geriatric care management, elder law advice, estate planning, finding home care and health and wellness programs. To see a list of free assisted living resources in Catonsville, please visit our Assisted Living in Maryland page. Catonsville-area assisted living communities must adhere to the comprehensive set of state laws and regulations that all assisted living communities in Maryland are required to follow. Visit our Assisted Living in Maryland page for more information about these laws.